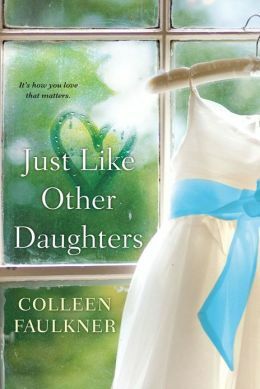 This weeks book, Just Like Other Daughters by Colleen Faulkner, works on so many levels. There’s sorrow and humor and hope threaded through out the novel, just as in real life. 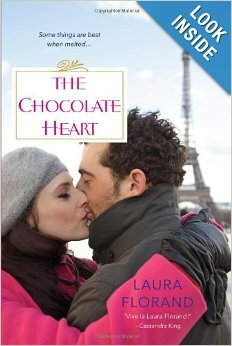 At its heart, the book is about a mother’s love for her child. That child happens to have Down’s Syndrome. The ending of the novel is foreshadowed in the very first line: I lost Chloe twice. Throughout the novel, there are little blips where it switches from first person past to first person present… Those blips are not a slip (and you know me, I’d call ’em out if they were). You need to pay attention to them. As a writer, I find it breath taking how she prepares us, the reader, for what’s going to happen and yet… it still makes you catch your breath on a small sob when it does. Now, on a more personal note… This book made me look at how tightly I keep my son to me. Granted, he’s only seven years old. However… I started loosening the reigns with him. Because he *can* do it. We went into B&N (you know I love that store), it was just the two of us. He wanted to play at the Lego table. He PROMISED he wouldn’t go anywhere else– not even to the bathroom. And if anyone tried to take him somewhere else, he’d scream. Wow. Am I that much of a helicopter mom? I need to loosen the reigns, I guess, and let him learn to live in the real world instead of the bubble I want to make for him. At the heart of “Just Like Other Daughters”, that’s what Alicia and Chloe face. Chloe has Down syndrome… and comes home in love one day. How do you let go, how do you protect your child while letting them experience the world… That is what Just Like Other Daughters is about. I’ve played around with the formatting of the book reviews… Let me know what you think. I’ll probably post one more book review this week, as well as some writing related posts on the weekend. More Than You Know by Nan Rossiter is a quiet sort of book. It’s not one to come in and take you by storm, and can I say Thank Goodness! There was already a lot of emotion in the book, and drama that was natural to the plot… It didn’t need a lot of grandstanding by the author. Three sisters come together after the death of their mother. Each sister is at a crossroads and/or dissatisfied with her life. How they cope with the death of their mother and how to live their lives is at the heart of the novel. I loved the moments when the sisters were together, remembering their mother, shedding tears. Mia, the mother, was a Godly woman… But after her death her daughters find out that she was definitely not a saint. I also loved the pacing of the novel. It all takes place in about a week~ but through the natural flashbacks, it covers much more. It’s never rushed.. More Than You Know is more of a stroll than a sprint. But I just don’t like them. It’s a personal preference thing, Too many bad ones that I had to choke through in college. Final Tally: 3 1/2 out of 5 Wynwords Wheee!!!!!!!!!!!!!! !